The Klein frame that is the heart of this custom build (serial number 258) was purchased by Lee Bridgers, Dreamride owner, in San Francisco in 1986. It was restored a few years ago. The Klein paint shop repainted the frame in a shadow theme. The bike got new wheels, handlebars and other parts. 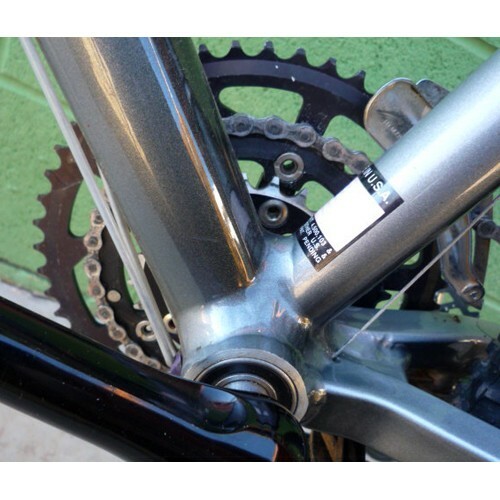 The Vintage parts that remain from the original build include IRD U-brake (on the bike since 1986) and the original Campy mountain bike headset. 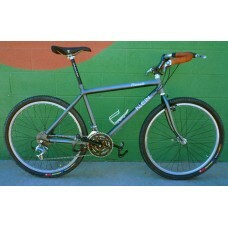 Other parts added over the years are Topline crankset and Conrol Tech (original) front brake. 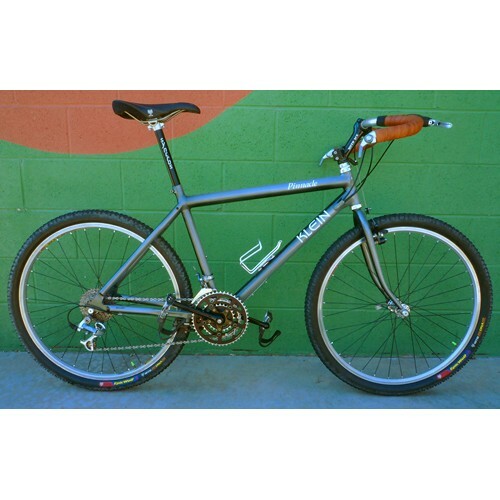 Newer parts are the XTR derailleurs (1996) and wheels with Chris King Classic Mountain hubs, the stem and Nitto mustache bars with Dura Ace bar con shifters and brake levers. Brooks leather bar tape. English leather saddle. Most of the bolts on this bike are titanium. 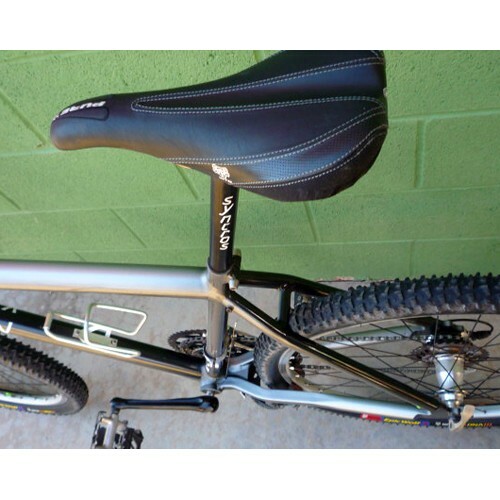 It has three waterbottle mounts. 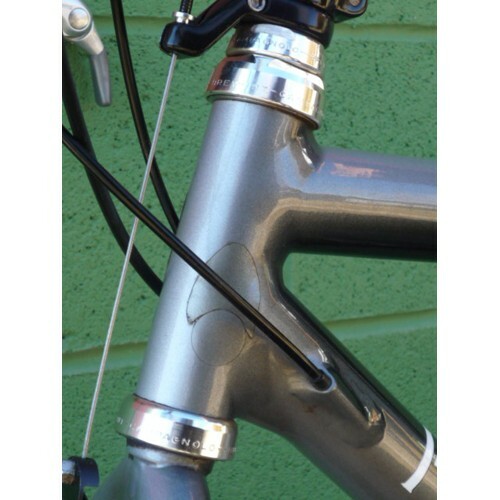 One of the mounts was placed where the front derailleur clamps to the frame--a design flaw. It also has rack mounts. 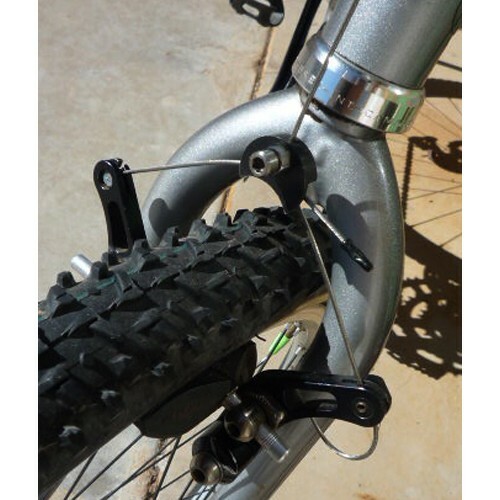 Shimano XT flat pedals with open toe clips. 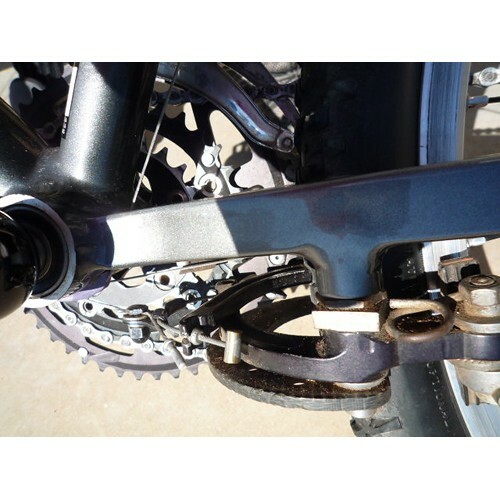 XTR titanium cogset and chain. In perfect running condition. 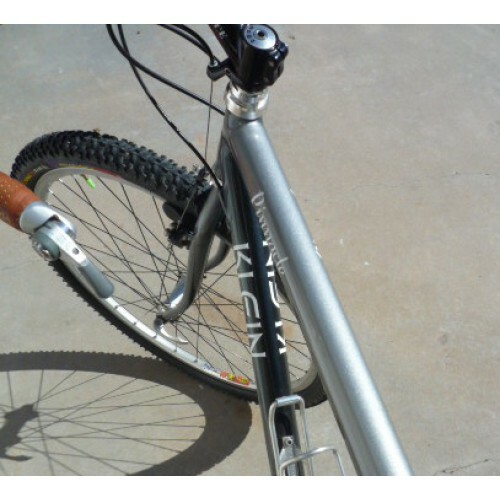 This is a road conversion of a 1990's vintage Specialized Hard Rock mountain bike found in the Moab ..